Larry felt he was out of ideas. He put in his time at work, but he found so much to frustrate him he got to the point where he almost didn’t care anymore. He knew he needed an attitude adjustment. He wanted a way to get enthusiastic and happy with his job. But he wasn’t getting any help from work or family, or anyone. Finally Larry decided to take action on his own. He signed up to hear a motivational speaker. Larry wasn’t sure what to expect. What he got was beyond anything he imagined. The motivational speaker helped both his professional and personal growth. He learned things he could use at work and in all the other areas of his life. Real, actionable information. Larry learned things about thought patterns and road blocks he’d been putting in front of himself. This information freed him to explore new ways. It was like a door opened to new opportunities both at work and in his personal life. Guidance and direction. Larry recognized he’d been lacking direction. The fixes offered by the motivational speaker were things Larry could apply immediately. He felt like he left with an achievable game plan. Communication. Larry learned where he was failing to communicate well. He immediately saw how that was making work more difficult. He also saw how these new skills would help him with his wife and children. He knew as he made these changes he would be more effective. It was exciting to feel himself growing and changing so quickly. Enthusiasm. Something about the motivational speaker was contagious. As Larry sat in the room he felt his life expanding. It was such a change to feel good about life! He knew this was what he’d been missing. He felt like he was learning enough that he could maintain these feelings of enthusiasm and excitement. Attitude. Larry felt a personal change in attitude. He determined to stop blaming others and focus on the things he could control. The speaker helped him see how an adjustment in his attitude could change the way he viewed both home and work. Focus. Instead of taking a scattered approach to what he learned, Larry decided to focus on the things that would make the most difference in his personal growth. He knew if he could change some of his habits and behaviors, it would show improvement in all areas of his life. If you are looking for personal growth, increased enthusiasm, guidance, direction and actionable skills, go listen Joel, a great motivational speaker. Contact Joel to learn where he is speaking next. Talkback: Have you had good success listening to a motivational speaker? How has it benefited you? 1. Value your employees – in every way. Did you ever have a boss who was quick to praise for a job well done – but stingy with benefits and pay? Actions always speak louder than words, and while current finances may not always permit you to pay top dollar, pay as much as you can based upon company profitability. In other words, the employee who toils five days or more a week to help make your company a success deserves to be recognized for that effort with praise and with benefits and pay commensurate with performance. Fair pay for work done is one of the best ways to improve employee satisfaction, and it’s also simply fair. 2. Create a culture of true camaraderie. Of course, your first priority each day is to get business done and make your company successful. To do that, though, it’s important to have fun once in a while too, as colleagues. Schedule office parties occasionally where all employees are invited to bring their spouse/significant other and children, too. Acknowledge birthdays with a 15-minute impromptu party. Don’t frown upon spontaneous wiffleball games in the hallway; in fact, why not join in? Improving employee satisfaction means letting your hair down once in a while – prudently – and allowing your employees do the same. All too often, companies reward management with big bonuses and lots of recognition, but overlook the accomplishments of lower-level employees, some of whom may have significantly contributed to management’s successes. That’s not fair, and employees (rightly) resent that. Instead, whenever your company has a big victory, celebrate together. Schedule a company lunch, or have a little party. Recognize your entire team – everyone. 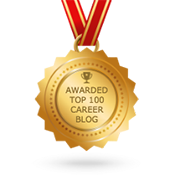 Recognition is a central component of improving employee satisfaction. 4. Be a part of your local community. One of the best ways to create a cohesive work environment is to become a part of the local community. 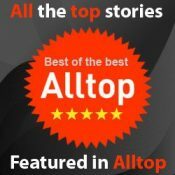 Connect with your community as a group, and give back to it. Get involved in community service as a company. Investigate what particular needs your community has. Serve Thanksgiving dinner at the local homeless shelter, or volunteer to participate in a cancer walk as a company team. Getting out of the work environment and rolling up your sleeves together toward a shared goal brings cohesiveness to your group that continues back at the office. Breaking out of everyday roles outside of the office can go a long way toward improving employee satisfaction in the office as well. Don’t just say you want to foster open communication; do it. If your employees don’t feel they can talk to management, they won’t; resentments will fester, and productivity and employee morale will fall. Communication starts with you. Tell your employees how they’re doing, and encourage them to talk to you about how you are doing, too. This isn’t about insubordination, by the way. Don’t take the attitude that because you’re the boss, you’re naturally untouchable. If something’s wrong with the way the company is being run or the way people are being treated, employees should be able to tell you about it. If you’re a large company, you may not know that there may be a particular problem with lower management unless you’re told – and you won’t be if employees can’t speak up. Communication shouldn’t just be about problems that need to be fixed, either. Your employees comprise your own rich brain trust that can help your company, products, or services become better. Encourage employees to share their ideas and reward them for those you use. When employees are heard and valued, improving employee job satisfaction won’t be a chore you “must do.” It will simply happen. About the author: Erica L. Fener, Ph.D., is Vice President, Business Development Strategy and Analysis at Progressus Therapy, a leader in connecting their candidates with school-based PT jobs and early intervention service jobs. Do you need happier employees? 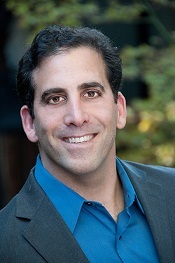 For tips, help, and coaching on improving the satisfaction of your employees contact Joel. Talkback: What steps have you taken to increase the morale at your office? What has worked best… or failed spectacularly? 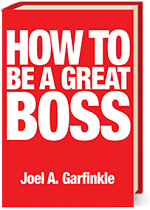 Increase your personal development and career potential as you master these areas of communication with your boss. Great communication demonstrates growth and maturity. Poor communication sabotages your advancement. Eliminate these words and the values they illustrate and see your influence and recognition rise. 1. “It was nothing.” “No big deal.” When you can’t accept a compliment, you show a lack of confidence in yourself. After all, if you don’t think it’s a good job, why should anyone else? When your boss compliments you, don’t denigrate yourself. He is praising your skills and accomplishments. Own them. Sometimes people down-play their achievements due to a false sense of modesty. If you want to move your career forward, accept these compliments with graciousness. Say “Thank you.” Smile. 2. “Well, I emailed you about that a week ago.” This statement tells your boss you think that once it’s off your desk, it’s no longer your responsibility. It also suggests criticism of her for not finding it and reading it. Taking personal responsibility for your career development means you follow up. If you need feedback, send a gentle reminder. Remember, email is not the only form of communication. Pick up the phone and call… or walk down the hall and talk to the boss in person. It takes more effort, but this stretch shows you take responsibility. 3. Sigh. You might deny it, but both you and your boss know that sighs can say 50 different things… most of them not good. It might mean frustration, a feeling of over work, disgust that you’re forced to work with someone, do something, be somewhere you don’t like. Because you’re focused on improving yourself, watch how many times you sigh and ask yourself what caused them. If necessary, use positive communication to express your thoughts. 4. “Not my problem.” People looking to improve their careers can’t be perceived as lazy or uncaring. In reality, if it’s your boss’s problem, it becomes your problem. Your job description includes a range of flexibility and your willingness to go the extra mile will go a long way in impressing the boss. 5. “That’s not the way we did it last time.” Traditions and ruts may indicate to your superiors that you’re not ready to take on different or innovative tasks. In this changing economy, companies seek new ways to improve the bottom line. They look for employees willing to come on board with that. 6. “I just bought a Ferrari.” Your boss is not all that concerned with your personal life. Nor is he likely to be impressed if you have something bigger and better than he does. Keep personal things out of the office. When conversations focus on business tasks, you’re more likely to be perceived as advancement material. 7. “Is this the best they could do?” Whether it’s the new copy machine or the holiday bonus, criticizing the company’s policy or decisions will not make a good impression. You might be viewed as feeling entitled. If you can’t influence a decision or solve a problem, save your breath and focus on what will help you add value to the company…and your career. Good communications require personal development and increasing maturity. Think before you speak. Make sure what you say reflects your best values and you will increase your chances to grow your career to greater heights. 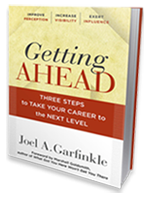 Joel Garfinkle helps up and coming leaders understand specific steps to increase their personal development and advance their career potential. . Contact Joel now to learn how he can move your career forward. Or check out his newest book Getting Ahead. Talkback: What phrases have you heard that are career killers? Have you seen the results of bad communication, or do you have an example of masterful communication? 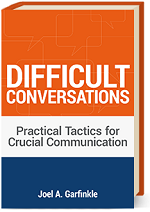 Communication is critical to your professional success. If you are not a strategic communicator, your effectiveness within your organization will be minimized. Years of knowledge and experience mean little in the hands of someone who can’t communicate effectively. Becoming a strategic communicator will maximize your ability to influence others in your organization. Reading articles on executive communications, such as Marielle Segarra’s article, “How to be a Strategic Communicator: 5 Tips,” is one way to improve the effectiveness of your communications. In her article, Segarra gives CFO readers five ways they can improve communication when discussing finance with the rest of the organization. The five tips Segarra gives are: align interests, teach finance, tell a story, get to the point, and don’t go it alone. I was pleased to be interviewed for two of these steps to more effective communication: teaching finance and not going it alone. As you read Segarra’s article on becoming a strategic communicator, you’ll learn how you can improve your communications by aligning your goals with that of other departments. You’ll also learn how to teach others about finance to facilitate your communication. Telling a story to increase communication effectiveness and the importance of keeping to the point is discussed. Finally, you’ll learn that it’s important to use your organizational resources to improve your communications. Taking advantage of these five tips will help you become a strategic communicator. For more ways to improve your communication skills, read some of the articles on leadership communication on the Garfinkle Executive Coaching website. Do You Have What it Takes to Build Executive Presence? Guest post by Diane Craig: President and founder of Corporate Class Inc., Diane has been on a 30-year journey as an image expert. She has consulted with political leaders and celebrities and prepped guests of royal families. Popular for her corporate lunch and learn sessions, her expertise is sought by Fortune 500 companies, universities, media, and North America’s top business schools. When Susan approached me for help, she looked about ten years older than she was, and academic—meaning more likely to be found on a campus than in a boardroom. Over the phone, Susan came across as warm and friendly. This jelled with her enthusiasm to begin executive presence training, so we got started. Let’s face it, people form their impressions of us based on our appearance. Whether this is right or wrong doesn’t matter, it’s just a fact of life. Susan developed a more polished approach to dressing. It was a process, not an extreme makeover, and as Susan’s new look unfolded she was obviously enjoying the results. The mere act of walking into a room showcased Susan’s new style. She made an impact. Although Susan’s education and training provided a distinct advantage, her lack of executive presence had kept her off the fast-track of corporate life. Tip #1: Becoming more self-aware of your appearance is a great first step toward building executive presence. Susan focused on how to effectively communicate to help her stand out, to be recognized–and remembered. From basic body language to entering a room, posture, dining etiquette, handshake and eye contact, Susan discovered the nuances of conversational engagement and the precise forms of chairing a meeting. She learned how to secure involvement with targeted individuals or groups, how to develop partnerships, and how to gain effective responses through action and communication. Tip #2: Using the right body language and communicating effectively with individuals and groups can be a “learned” skill. It’s never too late to start learning. During the early stages of training, Susan had a wake-up-call. Like most high-potential people, Susan grasped that to be promoted, she needed to manage how she was perceived and that she was missing out on promotions not because of lack of competence for what she was doing, but for lack of skill around how she was doing it. Susan had captured the essence of executive presence in a single sentence. She was on her way. No doubt, if this post were a Hollywood script, Susan would be promoted to VP but the fact remains that although we all like happy endings, corporate life isn’t a fairy tale. Suffice to say, last month Susan was invited to apply for a more senior position. What are you doing to build your executive presence? January 16, 2012 Comments Off on Do You Have What it Takes to Build Executive Presence?